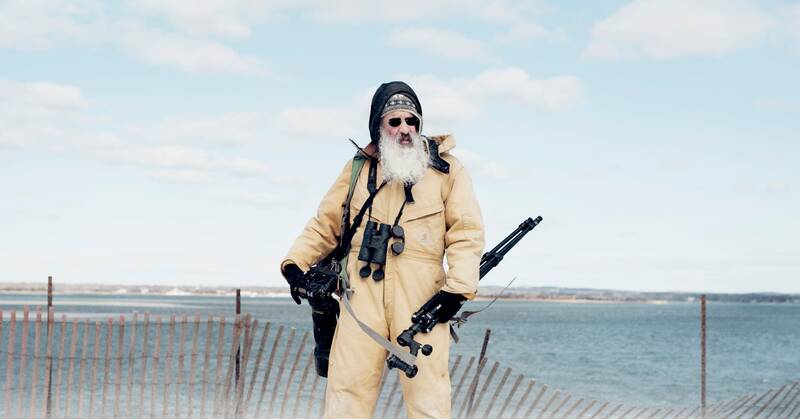 The first thing you notice about ecologist Arthur Kopelman is his giant white beard. The second is the gold whale charm dangling from his earlobe—a symbol of the creature that has consumed his thoughts for decades. “I don’t think I’ve ever seen him without it,” says Joe Carrotta, a photographer who documented Kopelman’s whale-watching cruises up and down the New York coast last summer. The boat rides allow Kopelman to collect data for the Coastal Research and Education Society of Long Island—an organization he co-founded in 1996—while also educating passengers about the incredible cetaceans and pinnipeds swimming (and singing) just miles from shore. The New York Bight—a coastal region stretching from the northern tip of Long Island to southern New Jersey—is a frolicking ground for 19 species of whales, dolphins and porpoises, as well as four species of seal. But in the 1950s, when Kopelman was just a kid in Queens, few people thought about them; whales were mythic figures from the past, long banished by industrial pollution and hunting. But following the Clean Water and Marine Mammal Protection Acts of 1972, they returned. Today, hundreds of humpback, fin and right whales cruise the bight at any time, gobbling up schools of menhaden, a silver fish too oily for Manhattan’s delicatessens. It’s not all great on the open water, though. While humpback populations are increasing, right whales aren’t doing so well—last year, 17 out of the 450 inhabiting the North Atlantic were killed in Canadian and US waters. Counting the communities has become so crucial, allowing researchers to monitor their abundance and distribution. Organizations like Gotham Whale and the Wildlife Conservation Society do so within the harbors and near Fire Island, while CRESLI does so on the eastern end of the bight. But that’s not all the cruises are for. “Besides counting, my objective is to educate people about the whales, so they become informed stakeholders who will protect them,” Kopelman says. Oddly enough, Kopelman began his scientific career in the 1970s studying a creature several orders in magnitude smaller: the Leptopilina boulardi, a two-millimeter wasp that lays its eggs in the larvae of fruit flies. He did that for nine years before switching phyla to whales. “I’d always been an activist,” he says, “and I decided to put my actions where my rhetoric was.” This single-minded passion fascinated Carrotta when the two met in 2016, inspiring Carrotta to tag along on 10 whale-watching cruises and seal walks. All took place via the 140-foot-long Viking Starship, a gleaming vessel the captain steered toward known whale feeding spots and other places whales were recently reported. Passengers on board marveled as they saw humpbacks break the surface, slapping their fins and tails around to communicate. Kopelman kept a log of the cetaceans and pelagic birds they saw, snapping photos of the animals’ patterning to add to his searchable database of nearly 80,000 images. When he saw a familiar animal, he called out its name—”Draco,” “Glo,” “Infinity”—over the PA system. “He’s very serious about marine life, but you can still hear his excitement when he gets to talking about it, even over the loudspeaker,” Carrotta says. Carotta photographed it all with a couple Nikon DSLRs and a Profoto strobe. His images sketch a vivid portrait of Kopelman and the charismatic megafauna that inspires his life’s work—and, occasionally, fashion accessories. Sadly, Kopelman lost his whale charm this summer. “I came home from a day on the water and it was gone,” he says. Not to worry, though: He had a backup.